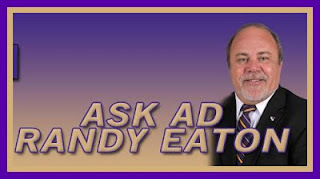 It's basketball season, and head coach Larry Hunter takes over WCU's "Cat Chat" feature. The January 8th edition of Cat Chat on Big Wise radio (ESPN 1310), with Catamount Head Basketball Coach Larry Hunter. Senior Brandon Hairston has been named the Southern Conference's Track Athlete of the Week. Hairston ran a personal best 48.22 in the 400-meter field at the University of Kentucky. He went on to finish seventh overall. Hairston also ran a leg of the 4x400-meter relay on the WCU team that placed fourth, but the 3:15.53 time leads the SoCon and ranks sixth in the Southeast. The Walkertown, N.C., native leads the SoCon individually in the 200-meter dash (21.96) and has the fifth-best time in the 60-meters (6.88). Evan Barr has been named the head Strength & Conditioning Coordinator for Western Carolina Athletics. Barr comes to the Catamount program from Reinhardt University, which is located in Waleska, Georiga. At Reinhardt, he oversaw the Eagles' 15 intercollegiate sports and served as the football program's Strength & Conditioning Coach. Prior to his position at Reinhardt, Barr was the Director of Athletic Performance at Performance QSA, an athletic performance studio in Greenville, S.C. Barr additionally has collegiate experience from the University of Tennessee and Southern Conference-member, Furman University, working as a Strength & Conditioning intern. Bar is a certified strength and conditioning specialist through the National Strength & Conditioning Association (NSCA). "I'm extremely excited about the addition of Evan Barr to our athletic staff in the weight room," said Todd Lawing, WCU's Associate Athletic Director for Internal Operations who spearheaded the search committee. "We are excited about Evan getting to campus and getting started. I have no doubt that he will have an immediate and positive impact on all of our athletic programs." Originally from Madisonville, Tenn., Barr graduated from Tennessee with a degree in exercise science, Barr and his wife, Rebecca, have a son, James Lawrence. The Southern Conference's athletic directors are meeting in Charlotte, N.C. and high on their agenda is expansion. "I think we're going to really get specific about potential expansion candidates," John Iamarino said to the timesfreepress.com. "I need to hear from this group what their thoughts are -- who we're looking for, what the right number should be, are we ready to expand or do we need more time to sift things through? "We've reached the point where we have to make some decisions, so I hope we'll start that process with the athletic directors." 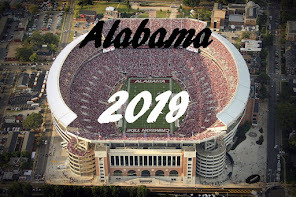 Since this is an athletic director's meeting, no formal invitations could result from this meeting, membership issues would come by a vote of the Chancellors/Presidents. 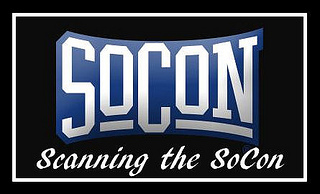 With the College of Charleston’s scheduled departure at the end of June, the SoCon faces the loss of Appalachian State and Georgia Southern as well, possibly to a FBS conference, which would leave the conference with as few as nine members in men’s basketball and seven in football. Iamarino will not revel any specific targets for expansion, "But the names of Mercer, UNC Wilmington and Richmond were floated recently by an official at one SoCon school, The Post and Courier has confirmed." according to an article by the Charleston Post and Courier. Message board traffic has also put out the names of VMI and East Tennessee State as candidates being considered. It now looks as if the SoCon is being proactive, I just hope they vote to except new members, without regard to ASU & GSU's status, as both will leave as soon as possible, and probably with little notice. I see nothing wrong with going to 14 members. Senior Shemekia Scotton was named to the Southern Conference Softball Preseason All-Conference First Team. Scotton's preseason first team selection is the first for Western Carolina since Amber Hawwkins received the honor in 2010. Last season, Scotton ranked second on the Catamount's team with a .331 batting average and third in home runs. Scotton put up 46 hits, had seven doubles and two triples and was a perfect 4-for-4 in stolen bases. She had 10 multiple hit games and five multiple RBI games in the season. The Catamount Softball team was picked seventh in the preseason poll, voted on by the league coaches. Western Carolina's seventh place ranking, in the Southern Conference preseason poll, is the highest ranking in the preseason since the Catamounts were picked sixth in 2008. Each week, twelve bloggers/message boarders (one representing each team) all will vote on a Game of the Week and Power Rankings. At least four will answer a series of questions on their team and around the SoCon. The Catamounts travel to Boone, NC for the return meeting with the Mountaineers of Appalachian State. The Cats won the first meeting of the season, back on December 8th by a final score of 70-64. While this will be the first game of the week for the Cats since playing Georgia Southern on Saturday Jan. 26th, the Mountaineers will play at Charleston on Wednesday night, prior to meeting the Cats in Boone on Saturday, Feb. 2d. ASU is currently 8-11 overall, and 4-4 in the Southern conference, with three losses out of their last four games, losing to Chattanooga, Samford, & Davidson, while picking up a 2 point overtime win from Georgia Southern. The Davidson Wildcats broke a 5 game home winning streak by the Mountaineers last Saturday, so ASU can be tough to beat at home. The Mountaineers are currently in third place in the conference in scoring offense, putting up 71.6 points, but are 10th in scoring defense, giving up 72.8 points per game. ASU has four players averaging double figures this season, led by senior forward Nathan Healy (6-7 / 210) at 14.6 point per game, followed closely by redshirt sophomore forward Jay Canty (6-6 / 200) with 14.5 points, sophomore guard Tab Hamilton (6-3 / 180) at 10.7 points, and junior forward Tevin Baskin (6-6 / 210) with 10.2 points. Healy also leads the team in rebounding with 7.4 per game. I think this one is probably a toss up, the Cats should win, but that depends on how consistent they are in shooting. If they perform a repeat performance of the GSU game, it will be a long bus ride home to Cullowhee. The Catamount baseball team opened practice for the 2013 season at Hennon Stadium on Saturday afternoon with their first official team practice of the preseason. "I have been very impressed with our team's level of commitment through the off-season, and their work ethic through individuals and today's first team practice," said head coach Bobby Moranda. "Practice went smoothly today as our returning players know our return and know what we're looking for out of our sessions." The first day of practice was postponed by a day, due to winter weather in the WNC mountains. The Bat Cats spent Saturday's practice time reviewing team defensive principles and situations, bunt defense and pitcher fielding practice. They also had their first opportunity at batting practice on the field in this preseason. Western Carolina opens the 2013 season by hosting four home games. The Washington State Cougars are first up, for a three-game series starting on Friday, Feb. 15, then the following Tuesday (Feb. 19), Wake Forest comes to Cullowhee for a for the home portion of the home-and-home schedule with WF. According to Cleveland football coach Marc Morris, Jacobs, a senior, has committed to Western Carolina and will sign during the signing period next month .Jacobs helped lead the Rams to the eastern 3AA regional championship game and an 11-win season. Jacobs had an outstanding senior season, earning all-conference honors and was the league's defensive player of the year. The defensive lineman recorded 69 tackles, 29 tackles for loss, five sacks, three fumble recoveries, two forced fumbles and an interception. The Catamounts again drop a conference game at home, this time to the South Division's Georgia Southern, 72-66. The Cats have now lost four out of the last five games, as well as, three straight home games. It now seems that every team coming to Ramsey, now owns that court. While the Catamounts won the rebounding battle (28-27), with a much larger lead in offensive rebounds (17-7), most of the other stats were either competitive, except the field goal percentages. Both teams had 8 steals, one block shot each, and 17 personal fouls each. However, the Eagles were hot, hitting 54.9% of their field goals, compared to an anemic 46.3% for the Cats. The Eagles hit 3 more three-pointers than the Cats, that combined with the Cats only making 11 of their 20 free throw attempts, was all that was needed to secure a road victory for Georgia Southern. Tom Tankelewicz lead all scoring with 20 points, however, Trey Sumler was held to 3 of 10 field goals, 0-4 threes, and 1 of 2 free throws, for only 7 points on the day. Georgia Southern placed four in double figures, lead by Eric Ferguson with 18 points. Defensive lineman Kelvin Ume verbally committed to Western Carolina this week. Ume said he felt a bond similar to what he had with his North Cobb teammates when he visited the Catamounts’ campus and that is what led to his decision to choose Western Carolina over Georgia Southern, Fordham, Buffalo and Eastern Kentucky. The Catamounts will rely on Ume to perform similarly to how he did at North Cobb, and that’s to split time at defensive end and defensive tackle. 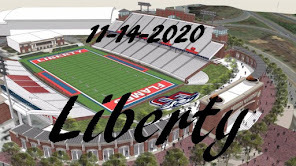 Ume also said there are no plans for him to sit out a year as a redshirt, with the coaching staff wanting him to come prepared and battle for a position right away. Freshman Tayla Carter has been named the SoCon's Indoor Track and Field Athlete of the week for meets over the past weekend. Carter picked up the lone individual win for the Catamounts at the Niswonger Invitational. Carter won the 60m dash - featuring a field of 80 athletes. In the prelims, she clocked a 7.59 to advance to the invitational final before the Marietta, Ga., native ran a personal best 7.54 to take the title. Carter then ran a 24.96 in the 200m dash before wrapping up the event participating on the 4x400-meter relay team that also earned a victory with its 3:50.25 time. All three times lead the SoCon. It's 20 days until first pitch at Hennon Stadium against Washington State. While we're waiting, let's get to know this year's team and meet the freshmen. Prior to Western Carolina: Played high school baseball at Starmount HS for head coach Mike McCann ... Scouted as a big-bodied southpaw that sports a fastball in the 90s ... Ranked by Impact Baseball as one of North Carolina's top 50 players ... Represented Region 7 in the North Carolina State Games. Personal: Full name is Alex Dane Barr ... Is the son of Darwin and Lisa Barr ... Has two siblings - Jake and Erin ... Was born in Elkin, N.C. ... His grandfather played professional baseball in the Boston Red Sox organization. Georgia Southern travels to Cullowhee after an overtime loss to Appalachian State on Thursday night. The Eagles are 8-12 overall on the season, and 2-5 in SoCon games. The Eagles are sporting wins over the two top teams in the South Division this year, a 70-57 victory over league leading Davidson, and 51-47 win over #2 Charleston. Both games were played in Statesboro. The Eagles come to Cullowhee as one of the more unpredictable teams in the SoCon. They have wins over two of the top teams in the SoCon (Charleston and Georgia Southern), but also lost to The Citadel, who is just 1-7 in league play this year. The Eagles are lead one of the league's top players in junior guard Eric Ferguson. He ranks 11th in the conference in scoring (14.2 ppg) and third in rebounding (7.6 rpg). Helping Ferguson score, are C.J. Reed (11.7 ppg) and Tre Bussey (10.7). The Eagles rank 11th in the league in scoring (59.9 ppg) and are eighth in field-goal percentage (42.3 percent) despite having three players averaging in double-figures. While the Eagles are having offensive struggles the defensive side of the ball is where they have excelled. The Eagles are limiting opponents to 63.4 points per game, good enough for the third-best in the SoCon. The Eagles also rank third in the league in field-goal percentage defense (42.6 percent) and fourth in three-point field-goal defense (31.6 percent). The Eagles haven't won on the road win since a 78-73 upset of Virginia Tech back on Dec. 15. are 0-6 in games played outside of Statesboro, Ga. since then. This should be a good game to watch in person at the Ramsey. Samford's loss, combined with Elon's run-away win over the Mocs, places both the Phoenix and Bulldogs in a two-way tie for first place in the North Division at 5-2, while tonight's loss puts the Catamounts in third place at 5-3, behind Samford & Elon. Each loss moves the Catamounts not only away from from a North Division championship,but the #3 or #4 bye in the conference tournament as well. Unable to protect the home court, while losing two of their last three home games, the Catamounts went down as much 17 points in the first half, as the Wildcats went on. a 23-5 first half run, putting Davidson up 28-11 with 8:30 remaining in the half. However, Nik Cochran's career-high of 32 points, got in the way of the Catamount come back, as he sank his 6th three-pointer of the second half, giving the Wildcats a 4 point cushion that the Catamounts could not overcome in the final stretch. Both Trey Sumler & Brandon Boggs put up 22 points for the Cats, followed by Tawaski King with 12. Tom Tankelewicz got into foul trouble early in the first half, and sat out much of the game, and only put up 1 three-pointer for the night. The Wildcats gave up 15 turnovers, which the Catamounts were not able to take advantage of, but it was the hot 3-point shooting by Davidson that ultimately doomed the Catamounts. Davidson hit 12 for 21 for 57% on the threes, while the Cats were only able to 5 of their 13 attempts. It was a long walk to the locker room for the Catamounts, past a pretty nice crowd that turned out to see a different ending. The Western Carolina women's basketball team made their way to Travelers Rest, SC to play the Furman Paladins on Wednesday night, not knowing they would play in a game they will probably never forget. The Cats had the game well in hand in the first half, taking a ten point lead over the Paladins into the locker room at halftime, 36-26. The Cats built on that lead in the second half, until they had a 21 point lead over the Paladins. However, the Paladins did not pack it in and give up. They chipped away at the lead, little by little over the next 16 minutes of play. Assisted by a three minute scoring gap in the final minutes of the game by the Catamounts, Furman's Brittany Hodges scored a lay up at the 6 second mark to tie the game in regulation at 68 all. Furman's Brigid Morrissey stole the ball from the Cats with 2 seconds remaining, but missed her jump shot, preventing the Cats from scoring and sending the game into overtime. In the first overtime, both teams put up 5 points each, sending the game into the second overtime period. In overtime period #2, both teams scored 6 points, sending the Cats and Paladins into the third overtime period tied 79-79. To open the final period, Sarah Durdaller fouled Lindsay Simpson, sending her to the free throw line, where she made both, score now 81-79, WCU. Simpson was 6-6 on the free throw line in the game. Shauna Terry then fouled the Paladin's Holli Wilkins, sending her to the line, where she made her two free throws, knotting the score again at 81. Lindsay Simpson then drove the ball in for a layup, 83-81, Western. On the Paladins next possession, Holli Wilkins hit a jump shot to again tie the score, 83-83, only to be followed by Rena Wakama's lay up at 3:06 to put the Cats ahead at 85-83. After a couple missed buckets by each team, Ali Lane made a jump shot at the 1:14 minute mark that put the Cats ahead by 4 points, 87-83. With the ball in Furman's hands, Shaunda Terry stole the ball from Furman Katlin Murphy at the 0:21 mark. Murphy immediately fouled Ali Lane. Lane hit one of two free throws, upping the score to 88-83. Holi Wilkins pulled down the rebound with 18 seconds on the clock, but with a good defensive stop by the Catamounts, Furman failed to score with the time running out. True freshman Lindsay Simpson scored a career and game high 25 points, followed by Rena Wakama who scored 23 points off the bench. Ali Lane had 11 points, followed by Janae' McKinney with 10 points. Western Carolina's Darius Ramsey was named to the College Sports Journal's 2012 Football Championship Subdivision (FCS) All-Freshman Team. Ramsey was named to the team as an All-Purpose Back. He led the Catamount's with 503 rushing yards, averaging 55.9 yards per game, and twice passed the century mark including 120 yards on 20 carries in his WCU debut in the home win over Mars Hill and 118 yards on 16 carries at The Citadel. A native of Waco, N.C., Ramsey recorded two rushing touchdowns to help the Catamounts record 22 scores on the ground - the most for a WCU offensive unit since rushing for 25 in the 2001 season. Ramsey finished as WCU's third-leading receiver in terms of catches, hauling in 25 receptions out of the backfield for 131 yards - the fifth-most of any Catamount back last fall. In addition, Ramsey returned eight kickoffs for 141 yards, averaging 17.6 yards per return. Congratulations to Darius from the Purple & Gold. Looking forward to another great season in 2013. A replay of last season's SoCon tournament championship game will take place when perennial league favorite Davidson (11-7, 6-1 SoCon) visits the Catamounts on Thursday, Jan. 24 at the Ramsey Center in Cullowhee, N.C. Tipoff between the Catamounts and Wildcats is set for 7 p.m. (ET). Western is currently second in the latest North Division standings at 5-2, while Davidson is out in front of the South Division with a 6-1 record. The Wildcats have won four of their last five games, including a 77-68 win over the South Division's second place College of Charleston on Saturday, Jan. 19. Davidson’s out of conference games included marquee wins over Vanderbilt and West Virginia at the Old Spice Classic in Orlando, Fla., but also had tough losses as well to New Mexico, Gonzaga and Duke. The Wildcats were also handed their only conference loss this season in Statesboro, by an 0-3 Georgia Southern team in a surprising 70-57 victory by the Eagles. Davidson returned all five starters and their top eight scorers & rebounders from their 2011-12 SoCon championship team. Last year’s SoCon Players of the Year De’Mon Brooks (13.6 ppg/6.4 rpg) and Jake Cohen (13.4 ppg/5.2 rpg) continue to lead Davidson in both scoring and rebounding. This season, the Wildcats are leading the SoCon in scoring margin (+5.9), as well as, 3-point field goals (134), 3-point field-goal percentage (.369) and 3-pointers per game (7.8). The Wildcats also rank second in fewest turnovers per game (11.6), turnover margin (+1.5) and assist/turnover ratio (1.1). The Wildcats boast one of the Top 100 scoring offenses in the country averaging 71.4 points per game (96th) which ranks them third-best in the conference, but Western Carolina comes in at fourth-best in the SoCon with a 70.2 point average. Davidson is a team that we do not want to send to the free throw line, as the Wildcats rank No. 1 in the nation with a free-throw accuracy of 79.4 percent led by senior guard Nik Cochran, who is making 95 percent of his free-throw attempts (57-of-60) this season, which ranks second nationally. To win, the Catamounts will have to control their fouls, as well as turnovers, and if their shooting does not go cold either half, revenge can be claimed on a Thursday night in Cullowhee. .
At one of the most difficult locations in the Southern Conference for the Catamounts to win, McKenzie Arena, a place that the Catamounts had dropped 32 of the 34 all-time meetings before tonight, took a total team effort as the Cats had to play both the five Mocs on the floor and the three referees to win the game, 90-81. This win halts a two conference game skid for the Cats, having lost to Elon at home, and Samford on the road. Dispute the very physical play of the home-standing Mocs, Chattanooga was called for only 18 personal fouls the entire game (which includes 3 personal fouls in the last 56 seconds) while the visiting Cats were charged with a grand total of 27, sending the Mocs to the charity line for 36 attempts, where they picked up 25 points. To over come those obstacles the Cats shot 53.4% (31-58) from the floor, which included 12 of 22 three-pointers. The Catamounts had four players in double figures, led by Trey Sumler with 25 points, 4 rebounds, 4 steals, and 12 assists; Tom Tankelewicz with 21 points, hitting 7 of 9 three-pointers; Brandon Boggs with 19 points, 2 rebounds and 2 assists; and Tawaski King with 18 points, 6 rebounds and 1 steal. The final starter, James Sinclair, put up only 2 points, but he led the team in rebounding with 10, he also had 3 assists and 2 steals. The larger Mocs won the rebounding battle, pulling down 39, of which 16 were offensive rebounds, while the Cats had 31 rebounds with only 6 offensive rebounds. The Cats return home for a Thursday meeting of the south division leading Davidson Wildcats for their first meeting since last season's conference championship game in Asheville. "Holding Western Carolina scoreless for nearly eight full minutes in the second half, Samford used an 11-to-0 spurt to erase a seven-point Catamount advantage before holding on for a 64-60 victory Thursday night in Southern Conference action at the Pete Hanna Center." 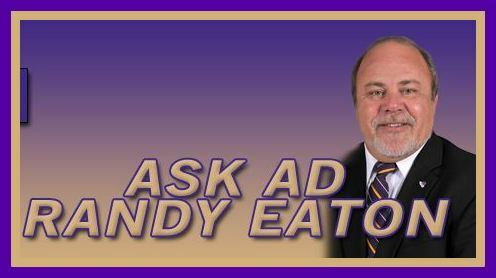 "All told, WCU - which dropped its second-consecutive league game - only managed to connect on two of its final nine shots from the floor over the final five minutes with Samford holding at best a two-possession lead." "Samford (6-12, 4-1 SoCon) shot 7-of-17 (41.2%) on 3-pointers compared to WCU's 2-of-12 (16.7%). The Bulldogs outrebounded the Catamounts 33-25, including a 15-to-7 edge on the offensive glass." Head football coach Mark Speir announced the addition of two coaches to fill coaching vacancies in his staff. "We are excited about the addition of both Shawn Quinn and De'Rail Sims to our football staff here at Western Carolina University," said Speir. "Both of these men bring a tremendous amount of energy, passion and knowledge of the game to our program." He added, "Shawn has been at all levels of football - from BCS schools on down - and has had success with every program he's worked with. He is noted as an exceptional recruiter and brings a lot of positive energy and new ideas to our staff and program. He's been able to raise the level of performance defensively at every stop in his career. And De'Rail is a very high-energy football coach and an excellent recruiter. He is a young coach who has been part of an exceptional football program at Carson-Newman." "As of Tuesday, Jan. 15, the academic eligibility of Western Carolina men’s basketball redshirt junior Tom Tankelewicz has been confirmed by the NCAA. He is now eligible to travel and compete for the spring semester." Tankelewicz sat out the Elon game after being deemed academically ineligible. It's 30 days until first pitch at Hennon Stadium against Washington State. While we're waiting, let's get to know this year's team and meet the sophomores. Western Carolina men's basketball redshirt junior guard Tom Tankelewicz has been ruled academically ineligible indefinitely effective Monday, January 14, due to an administrative oversight. His potential reinstatement is pending NCAA ruling. The Buckley Amendment prohibits any additional personally identifiable information from the student's education records to be disclosed. Head Coach Bennie Seltzer is in his first season with the Bulldogs, and is fresh off a Charleston sweep this past weekend. Samford defeated the College of Charleston Cougars for the first time in school history on Thursday, then turned around on Saturday, and completed the sweep with a win at McAlister Fieldhouse over the Citadel Bulldogs. With Saturday's win, Samford (5-12, 3-1 SoCon) also earned their first victory at The Citadel in school history. Samford's weekend wins, coupled with ASU's win over Greensboro, place both Samford & ASU in a tie for second place (3-1) in the north division, only a half game behind Western at 4-1. Of course, Elon looms large in the rear view mirror for the Cats, at 2-2. There's been a huge change in the Bulldogs’ offensive attack this season under Seltzer. Under former head coach Jimmy Tillette, Samford ran a version of the Princeton offense. This season, the Bulldogs offensive strategy by Seltzer utilizes fast breaks, pick and rolls and slashing cuts to the basket. The Bulldogs will also run an aggressive man to man defense. Samford returns three starters from last season's team, on a roster that is one of the youngest in the Southern Conference, and just like Western Carolina, doesn't have a single senior on their roster. In Seltzer's youth movement, the Bulldogs generally start one junior, 2 sophomores, and two freshmen. Sophomore guard Raijon Kelly (6-4 / 170) leads the Bulldogs in scoring with 14.9 ppg, while true freshman, and candidate for freshman of the year, Tim Williams (6-8 / 210) adds 14.3 ppg and 7.3 rpg. True freshman forward Clide Geffrard, Jr. (6-5 / 215) puts up 9.0 ppg and 4.3 rpg. Samford has split home conference games so far, getting a win against Georgia Southern (57-48) and losing to Chattanooga, 74-70. The Bulldogs are 2-0 on the road in SoCon play, picking up wins against Charleston and the Citadel as discussed above. This will be a battle for the Catamounts, who are not playing particularly well, against a team that is surging. To win, the Cats must protect the ball, limiting turnovers, as well as, limit fouls keeping the Bulldogs off the free throw line. It's 31 days until first pitch at Hennon Stadium against Washington State. While we're waiting, let's get to know this year's team and meet the sophomores. With the opportunity to move to 5-0 and their best start in conference history, the Catamounts were not up to the task Monday night in Cullowhee, as they fell to Elon 80-67 in Cullowhee. The fact that the Cats had won 33 of the last 40 Southern Conference games in Cullowhee meant nothing to the Phoenix, as Elon out-scored the Catamounts by 17 points in the second half, after the Cats took a 4 point lead into the locker room at half-time. The lone bright spot for the Cats was Trey Sumler, who scored a career high 32 points and had 5 rebounds. The only other Catamount scoring in double figures was freshman Mike Brown, who replaced red-shirt junior Tom Tankelewicz in the starting line up, with 10 points. Tankelewicz, a transfer from Charleston Southern and a WCU starter all season, was ruled academically ineligible effective today by the NCAA. The decision has been appealed to the NCAA, and is thought to be a technicality, but the ineligibly is indefinite at this time. The Cats travel to meet the red hot Bulldogs of Samford on Thurdsay at 8 pm (ET). It's 32 days until first pitch at Hennon Stadium against Washington State. While we're waiting, let's get to know this year's team and meet the sophomores. I would like to know why Western doesn’t have a Men’s Soccer team. It seems unfair to have a women’s program but not one for the Men. Is it a money issue? First and foremost, yes, it is 100 percent a money issue. We currently do not fully fund the sixteen sport teams we currently sponsor, and until we reach a level where every team we have can compete within the Southern Conference year in and year out, we will not look at adding any programs. Beyond finances, we must also be aware of and adhere to Title IX standards. As for being fair, Title IX looks at the number of total participants (total number of men versus total number of women in all sports), it does not compare within a sport. So in the eyes of the law, this is fair. Over the years I have continuously heard about upgrading football. All I seem to hear is football this and football that, what about upgrading the other teams, especially those that win championships, like track? Good question, difficult answer. The bottom line is football can pay the bills, track can not. We will make strides in upgrading all of our programs eventually, but football must be first. Let me ask you a question: Do you buy stocks that generate large returns or ones that give little or no returns? There is your answer. Have any of the coaches said we were losing recruits due to the size and condition of our strength and conditioning area? I cannot say I have heard that directly, but to be honest, I would be a fool to think it wasn’t true. Our weight room is just one of many facility areas we need to address. During this academic year we are in the process of researching and preparing a Strategic Plan for the Athletic Department. I fully anticipate when we are completed, we will have a road map for investment in facilities, scholarships, operating budgets and staffing. Until we have a plan, we will not rush out and spend what limited resources we have available. Why are General Admission tickets more expensive this year than last year for Men’s Basketball? Quite simply, we had some catching up to do. Not one person currently on our staff can remember a price increase, add to that we were the lowest in the entire Southern Conference. Yes, going from $7 to $10 was a large percentage jump, but in actuality we were simply catching up on increases that should have been made over the last several years. That’s all for this month. I hope you enjoy reading my responses as much as I enjoy writing them. A lot of good questions this month and the one commonality is that all of the above issues can be improved if we have more money! That means YOU need to be involved. Get your family, friends and classmates re-energized. It is quite difficult to assist us in restoring Western Carolina to its’ past glory, it is quite easy to sit back and complain. In his third season as the Elon Head Men's Basketball Coach, Matt Matheny brings his 8-7 overall (1-2 SoCon) Phoenix to Cullowhee on Monday night. Matheny guided the Phoenix to 15 victories last season, and were one of the north division's favorites in preseason voting this year. Elon enters Monday's game coming off a disappointing 10 point loss to Appalachian State on Saturday. While the Phoenix had some early season success with victories over South Carolina, Colgate, and Florida Atlantic, as well as a conference win over Georgia Southern, and a two point loss to Charleston, Elon has won only two games out of the last six played, coming into the Western game. Elon currently is the 5th best scoring team the conference, averaging 69.2 points per game, just behind WCU, while giving up an average 65.3 points. The Phoenix are averaging 35.5 rebounds per game and 7.5 steals. Junior forward Lucas Troutman (6-10 / 220) leads Elon in scoring with 14.8 points per game (ranks 7th in the SoCon) and 5.7 rebounds, followed by junior guard Jack Isenbarger (6-3 / 180) with 14.3 points and junior forward Ryley Beaumont (6-7 / 220) with 10.5 points and 6.8 rebounds per game. This may be the toughest conference test the Catamounts have faced this season, and with classes starting on Monday in Cullowhee, the game should be well attended. The Cats will need all that support to make it to that elusive 5-0 record. It's 33 days until first pitch at Hennon Stadium against Washington State. While we're waiting, let's get to know this year's team and meet the sophomores.